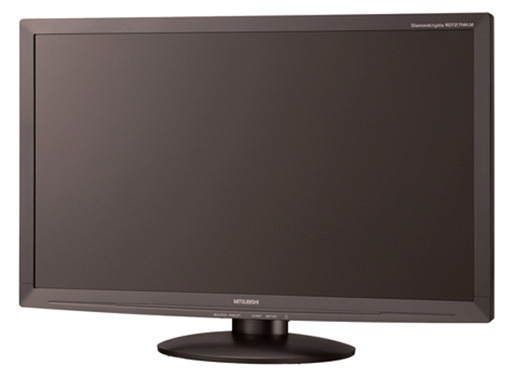 Diamondcrysta WIDE Is The Latest Full HD LCD Monitor From Mitsubishi ! In Japan Mitsubishi has introduces a 27 inch Full HD LCD Monitor named WIDE RDT271WLM (BK). Along with the new LCD monitor you can have a resolution of 1920 x 1080, a brightness of 400cd/m2, a contrast ratio of 5000: 1, and a response time of 5ms. Regarding the other spec, Mitsubishi announced a HDMI, DVI (HDCP) and D-Sub ports, as well as an ECO mode. This wide Diamondcrysta WIDE Full HD LCD Monitor is expected to be available from November 27th, 2009. If you have 39,800 Yens, or 295€ in your pocket you can buy this LCD Monitor.